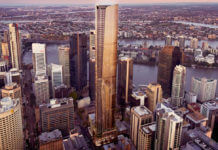 A development application has been submitted by Muil Pty Ltd for a new 19 storey residential tower located at 12 Hamilton Street, Kangaroo Point. The building which is known as Jardino – derived from the French origin, jardin, meaning garden consists of 17 full floor three bedroom residential apartments and has extracted a significant amount of concepts and ideas from the Brisbane City Council’s new subtropical design guide. Created by Brisbane-based architectural firm Bureau Proberts, Jardino features a multi layered garden facade with night time lighting system as well as a distinctive rotating design as the building rises above the tree line. Building amenities include podium level pool, sun lounges and rooftop terrace with outdoor kitchen and sloped grass picnic lawn. Jardino has incorporated an innovative lighting concept using an LED technology called ArcDot which will provide mood lighting via night illumination. The technology allows programming for endless patterns, colour and movement combinations which is hoped to complement the story bridge lighting system.  If we are to achieve the continued growth of Brisbane anchoring itself after Sydney as a recognised international city, we must utilise the opportunities we have on our prime real estate to facilitate buildings that will complement all the other urban landscape we are pursuing to ensure this happens. – Bureau Proberts / DA Application. A centralised irrigation system plans to use rainfall water stored in a tank on the roof top. The facade is watered and managed by a centralised system without the intervention of the occupiers. Jardino joins a small cluster of high end residential buildings along this portion of Kangaroo Point with Bureau Proberts designed Walan currently under construction and JGL Properties’ 11 Thornton St which has been recently proposed. The DA number for this development is A004571461. Please email me more information about 12 Hamilton Street, Kangaroo Point. Approximate pricing for a 2-3 bedroom apartment with 2 carspaces and storage. We are currently living in a similar size apartment in Vulture street South Brisbane. i would like more info for this building.